On the 26th of October, the Worth Valley Storytelling Guild, in association with the Haworth Hall Inn, will be hosting storyteller Simon Heywood telling a tale commissioned for the Festival at the Edge 2015 storytelling festival. Local storytelling fans may remember Simon from last year, when he told the stories of conscientious objectors from the First World War. This year he has adopted a seasonal theme in the run up to Halloween with Anston Line, an odyssey through unseen worlds that wait behind the places we think we know. 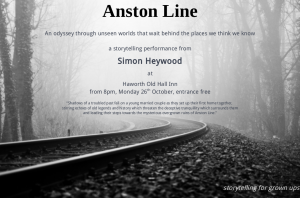 Described as “storytelling for grown ups”, Anston Line tells a tale of shadows of a troubled past falling on a young married couple as they set up their first home together, stirring echoes of old legends and history which threaten the deceptive tranquillity which surrounds them, and leading their steps towards the mysterious overgrown ruins of Anston Line. Anston Line is a homage to the legends and songs of the old borderlands of the north-east midlands of England; and a song of remembrance for those who fought the bitter night to earn their daily bread, to create the world we now call our own. 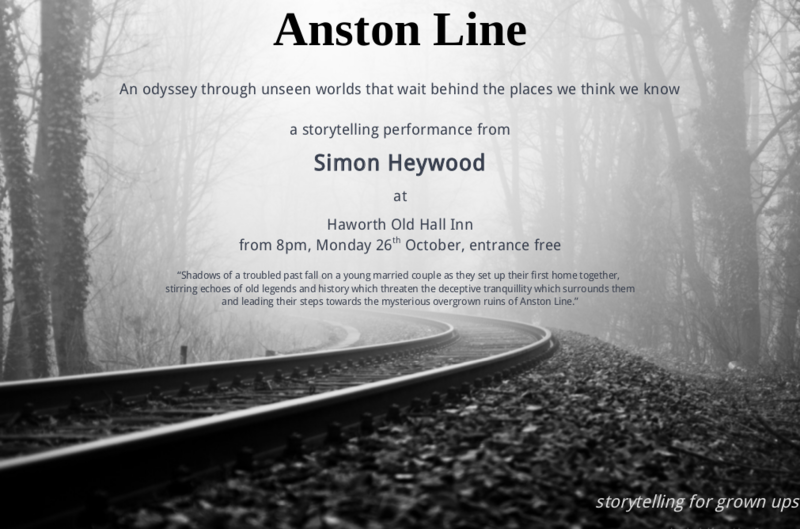 Anston Line will be performed at the Old Hall Inn, Haworth, on the 26rd October from 8pm. 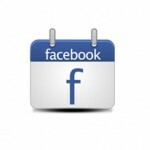 Entrance is free, although donations will be invited.